Aside from general difficulty of use, the most aggravating aspect of this app is the requirement to own the digital versions of publications to be able to use content from them. 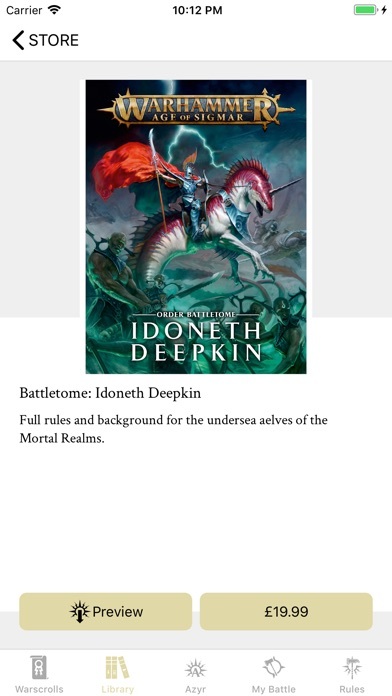 I own the physical books and have no reason to buy a digital copy, but the app doesn’t allow you to show proof of purchase to access the content you already own in a book. I bought the subscription and it still won’t let me use the army builder. Tried canceling and getting it again and it still doesn’t work. They will basically just steal you money from you. 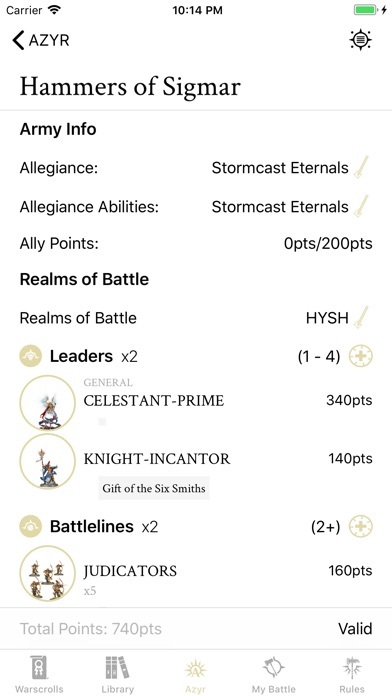 GW has been doing a good job to keep this app working well. 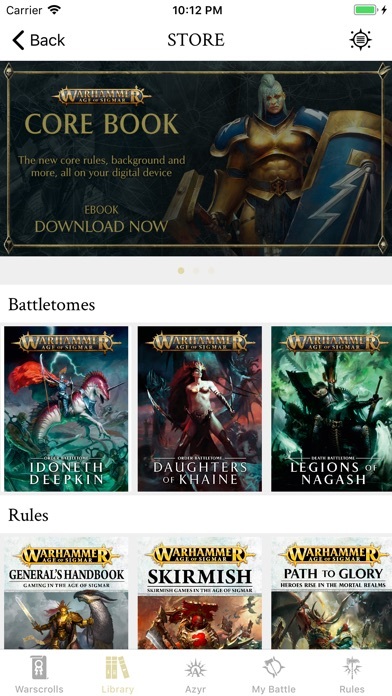 The one thing I would hope they eventually do is update the battletomes as corrections and FAQs are published. I’m loving the app! However, ATM Zarbag’s Gitz are not adding into my total points on Azyr. It will display the points, just not calculate them. FYI. I have been a subscriber to this app since the beginning and recently started having issues. I can not access the list building for the last two days. 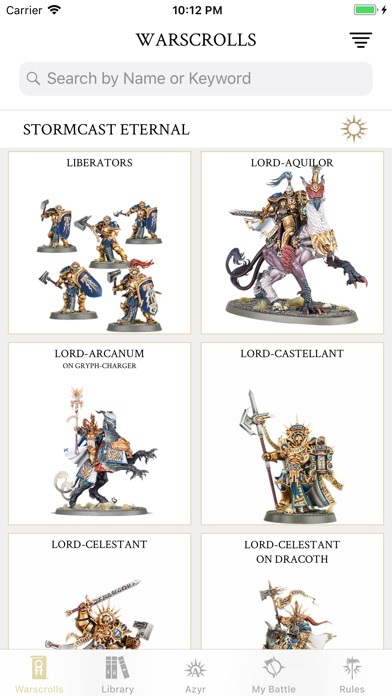 There does not seem to be anywhere on the website for Games Workshop to let them know there is an issue. I have double checked for updates, but there doesn’t have any at the moment. Please somebody let the developers know we need this resolved. We as consumers, love this product!!!! 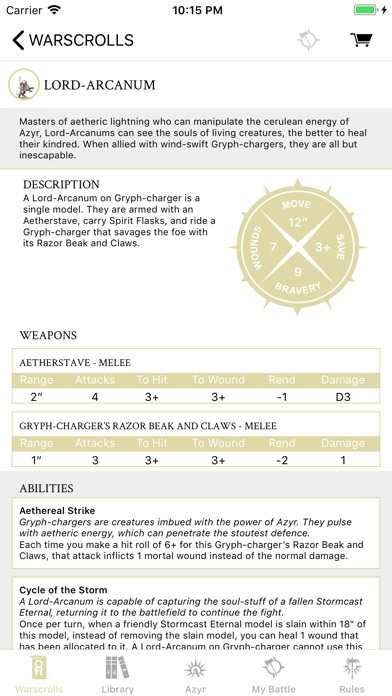 The included rulebook is made up of full-page scans suitable only for a good size tablet. Impossible to use on even a large phone without constant pinch zooming and scrolling around. It is bizarre that this is offered on phones at all. This game is a lot of fun and being able to play with cards in person or on my phone is great.